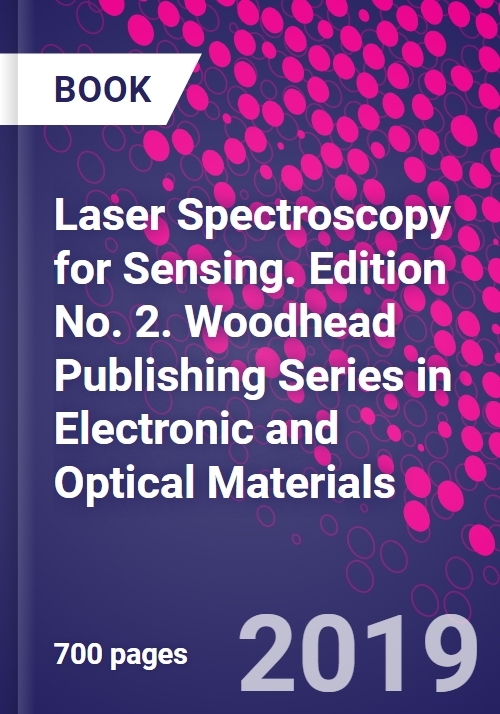 Laser Spectroscopy for Sensing: Fundamentals, Techniques and Applications, Second Edition examines the latest advances in laser spectroscopy and its use in a diverse range of industrial, medical and environmental applications. The book provides an overview of laser spectroscopy at three levels, including the fundamental aspects to consider when planning use of laser spectroscopy to solve a problem (from the sample properties to the laser properties to the data analysis), the technical aspects of several spectroscopic techniques, and the fields of applications of such techniques. New sections include key advancements from the field and chapters surrounding Raman Spectroscopy and Laser-induced breakdown spectroscopy. Dr. Baudelet is currently the Senior Research Scientist for the Townes Laser Institute at the University of Central Florida (Orlando, FL). His panel covers the fundamentals of laser-induced plasmas, the application of laser spectroscopies such as LIBS, Fluorescence, Raman, FTIR, as fundamental diagnostics as well as sensing techniques for defense, industrial, environmental, biomedical applications and the study of propagation of ultrashort laser pulses for sensing purposes at distances up to the kilometer range. As Assistant Professor of Chemistry in the National Center for Forensic Science at the University of Central Florida, his research focuses on the application of laser-based spectroscopy for forensic analysis: atomic spectroscopy with laser ablation techniques (LIBS and LA-ICP-MS) as well as molecular with Raman spectroscopy. A large part of his research focuses also on the quantification of interferences in spectroscopic signals.